​With Your Second Hand Parts Details we will try our best to source lord munsterland caravan parts. for you. Model of caravan: LMC lord munsterland lord exquisit. parts needed: 1) near side rear tail light. 2) window roof catch 3) window blind and surround 450 x 450 4) roof light window blind and surround 450 x 450. We are needing a nearside front window for an 'Abbey vogue 417 gts 2003. 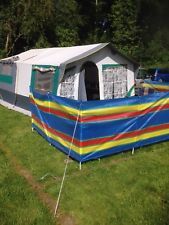 Looking for complete bathroom (basin/shower/loo) from caravan to put into a boat. Ideally a complete unit in plastic to take thetford electric loo with side cassette or macerator loo. Would need delivery to Cornwall or SW France if poss?? Please send price, pictures and o/a dimensions.Thanks. 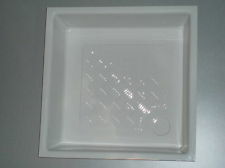 I am after a small piece of 12mm worktop preferably in a light colour. I want to make a hinged extension shelf. Piece I need is about 2ft by 18" Do you have anything? Thanks. I am looking for a cupboard door, small one for over bed or over seat end of van, for tabbert 2003-2005. Photo can be provided. Thanks. I am looking for a window for lord munsterland caravan parts.. It’s a trapezium shape. The code on the window is, Roxite 94 D399 Polyplastic Rotterdam 9301 Pmma Thanks. Hi , I am looking for a wheel spat for my Fleetwood garland , I have been looking for ages and I came across your site , I live in Dublin Ireland and there is nowhere that break caravans over here , I really hope you can help , Thank You. Hi, I'm looking for the surround for the front running light for a lord munsterland caravan parts. Dominanat 545RD. Can you help? Many thanks.